The late Bishop Chuck Murphy came from Pawley Island, South Carolina, an area which has dozens of world-class golf courses. So naturally he loved to tell golf stories. While in Vancouver BC, he gave us one of his favorites: “Moses, Jesus, and an old man are golfing. Moses steps up to the tee and hits the ball. It goes sailing over the fairway and lands in the water trap . 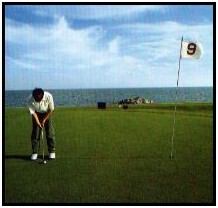 Moses parts the water and chips the ball onto the green. Jesus steps to the tee and hits the ball. It goes sailing over the fairway and lands in the water trap. Jesus walks on the water and chips the ball onto the green. The old man steps up to the tee and hits the ball. It goes sailing over the fairway and heads for the water trap, a fish jumps up and grabs the ball in its mouth. As the fish is falling back down into the water, an eagle swoops down and grabs the fish in its claws. The eagle flies off over the green, where a lightning bolt shoots from the sky and barely misses it. Startled, the eagle drops the fish When the fish hits the ground, the ball pops out of its mouth and rolls into the hole for a hole-in-one. 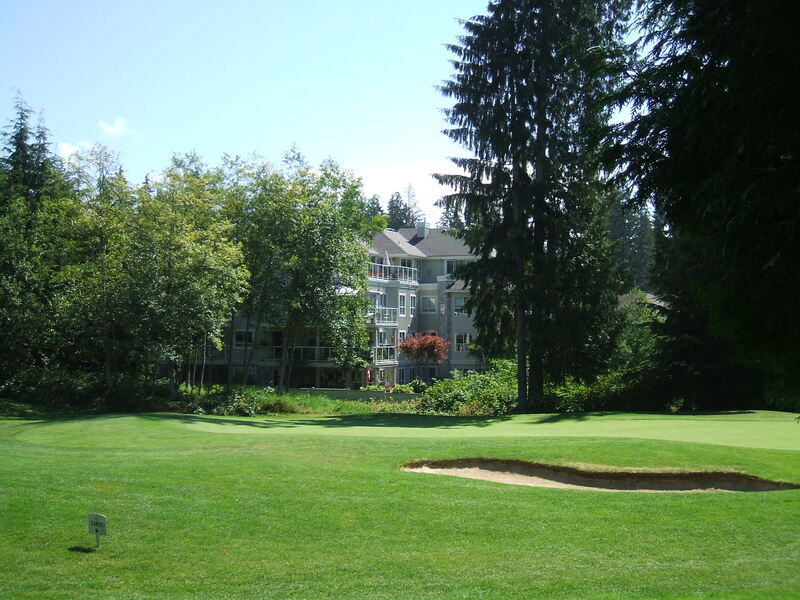 Our local Seymour/Deep Cove area is a bit of a golf haven, with two golf courses: Seymour Golf & Country Club , Northlands Golf Course and two driving ranges: Takaya Golf Centre and Seymour Creek Golf Centre. With three active sons in their twenties, I have had the pleasure of giving them golfing tips. 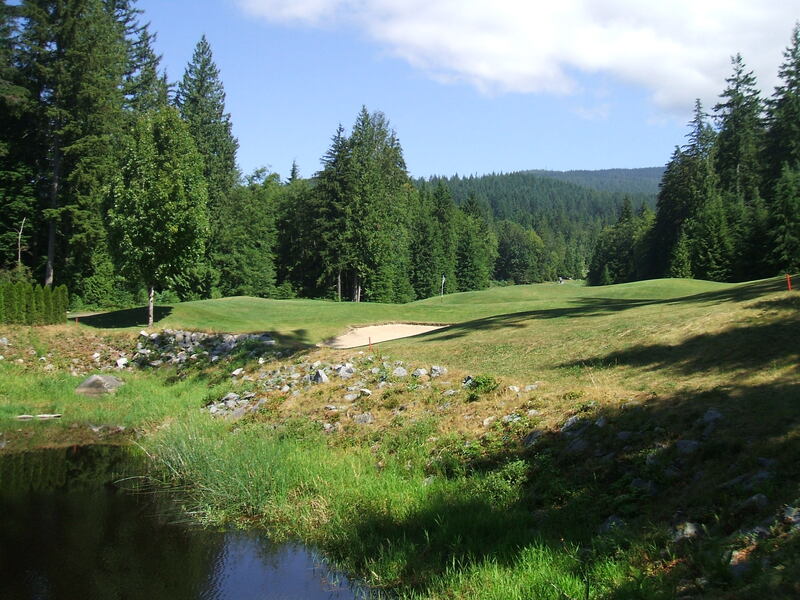 I have many happy memories of caddying for my father at the UBC Golf Course. 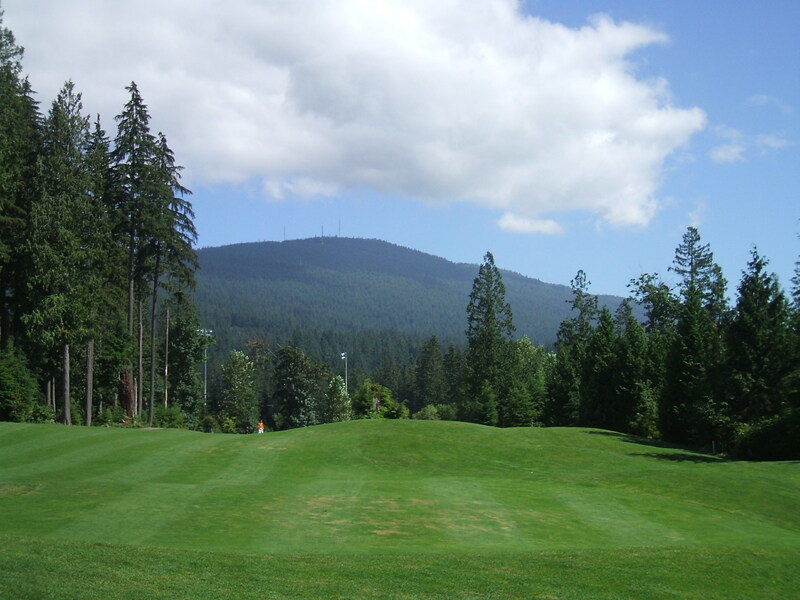 As a teenager, I had a membership at Langara Golf course and used to golf religiously three times a week. I even golfed in the snow which was quite a feat. Because my parents had paid for my membership, I remember feeling guilty if I wasn’t golfing enough! My eldest son, who has worked over seven years at Safeway, wanted to be ready for a Safeway Golf tournament. After teaching my son everything I knew about golfing, I decided that it was time to go to the Parkgate Library and listen to the pros. Fortunately the library had dozens of golf books and videos. There is even a ‘Golf Rules & Etiquette for DUMMIES’ book! Every book and video had literally hundreds of helpful tips about one’s grip, a proper backswing, a proper stance, getting out of bunkers, and secrets of putting. From Jack Nicklaus to Arnold Palmer, all of them seemed eager to turn my sons and I into the next golfing superstar. You may be happy to know that after looking at many videos and books, I have decided not to quit my day-job. As professional golfers are away on tournaments for well over half the year, my wife would miss me too much. And then there is that little problem of getting it on the green. One of the most fascinating golf books that I found at the library was The Way of An Eagle by Robert Darden and PJ Richardson. It features the stories of more than forty top golfers who shared the secrets of their success on and off the golf course. Common to all the golfers was a realization that golfing itself was not enough, that there was more to life, and that life could be discovered through a personal relationship with Jesus Christ. All of these golfers had found a greater inner peace and serenity that carried them through the ups and downs of intense tournament life. As a teenage golfer, no matter how well I did, it didn’t feel good enough. I struggled with perfectionism and performance-orientation. But now like the pro golfers in the Way of the Eagle book, I have found that my identity doesn’t come from how well I do. It comes from God himself who loves me no matter how well or poorly I play. God has given me an inner peace through Jesus Christ that nothing can steal away from me. As I help my sons learn how to golf, I pray that they may carry this message of inner peace with them wherever they go. For mailing the book to the USA, please send $20.00 USD. This can also be done by PAYPAL using the e-mail ed_hird@telus.net . Be sure to list your mailing address. 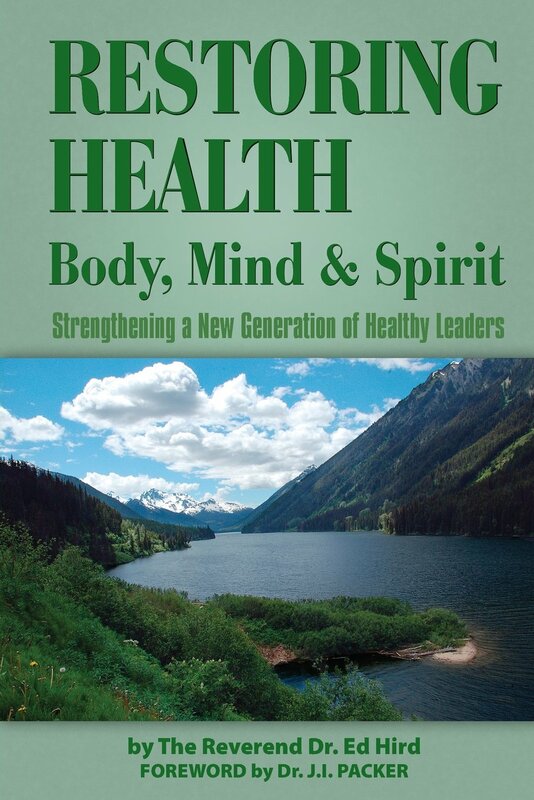 The Battle for the Soul of Canada e-book can be obtained for $4.99 CDN. Categories: Uncategorized | Tags: Anglican Coalition in Canada, Anglican Mission in the Americas (Canada), Arnold Palmer, Battle for the Soul of Canada, Bishop Chuck Murphy, business, busyness, Caddy, dad, Deep Cove, Eagle, God, golf, Golf Course, Golf Rules & Etiquette for DUMMIES, golfing, Golfing Tournament, GP, Holy Spirit, inner peace, Jack Nicklaus, Jesus, Jesus Christ, Langara Golf Course, medical doctor, Northlands Golf Course, Parkgate Library, Pawley Island, perfectionism, performance-orientation, PJ Richardson, pro golf, Robert Darden, Safeway, Seymour, Seymour Creek Golf Course, Seymour Deep Cove, Seymour Golf & Country Club, South Carolina, St. Simon's Church North Vancouver, stress, Takaya Golf Centre, The Way of An Eagle, UBC Golf Course | Permalink.